Many couples are curious about IVF alternative therapies and how effective they may be. In vitro fertilization isn’t always the best option for those trying to conceive, and it can eventually cost a small fortune depending on how many times you undergo the process. Even then, there is no guarantee you will become pregnant. Marc Sklar, a renowned holistic practitioner in fertility issues, reveals proven, natural IVF alternatives below. Acupuncture and integrative wellness: Integrative wellness is essentially combining alternative practices with conventional medicine and lifestyle changes for improved health. Diet, stress management, exercise, environment, lifestyle, nutrition, taking care of your health, hormone therapy; there are many elements that when combined can greatly increase the chances of a healthy pregnancy in women who have had problems conceiving. Acupuncture has long been used successfully to help balance the endocrine system, reduce stress, and increase the flow of blood to reproductive organs, increasing fertility. Functional medicine combines traditional Western medical practices with alternative medicine such as herbal supplements, vitamins, botanical medicines, detoxification programs, and other techniques to promote better health while addressing the underlying causes of disease, and is a way for patients to take better control of their health in a way that focuses on physical and emotional well-being. Nutrition, exercise, a healthy lifestyle, total body wellness: In order for a woman to have the best possible chance of conceiving, overall good health is critical. Good nutrition is vital, and physical fitness important as well. A healthy lifestyle also lends to increased fertility, as bad habits such as smoking, consuming too much alcohol or caffeine, or eating unhealthy foods can all impact how difficult it is to conceive. 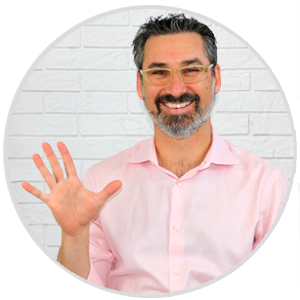 As a holistic practitioner specializing in fertility for more than a decade, Dr. Sklar has had great success helping couples realize their dreams of becoming parents. Please contact us to schedule an online consultation today. Individuals in Southern California can visit one of our Reproductive Wellness clinics in San Diego County. We also have online programs, fertility seeds and kits, nutrition fertility plan, DVDs, ebooks and other IVF alternatives available to you so you can finally have greater control in your own fertility!